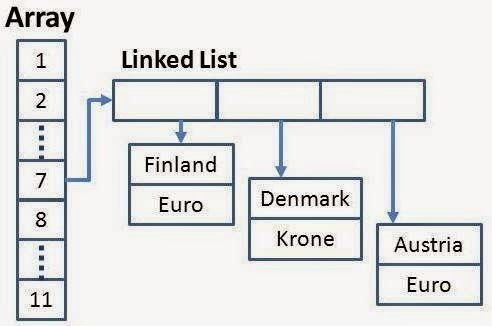 Create a LinkedHashMap by adding entries in sorted order. There are two ways to sort HashMap by keys, first by using TreeMap and second by using LinkedHashMap. If you want to sort using TreeMap then it's simple, just create a TreeMap by copying content of HashMap. On the other hand, if you want to create a LinkedHashMap then you first need to get key set, convert that Set to List, sort that List and then add them into LHM in same order. Remember HashMap can contain one null key but duplicate keys are not allowed. Here is our sample Java program to sort a HashMap first by keys and then by values. This program is divided into two part, first part sorts HashMap by keys and second part sorts it by values. Second part is more tricky then first part as there is no native Map implementation which supports any order for values. In order to sort a HashMap by values we had to create our own Comparator implementation which compares each entries by values to arrange them in a particular order. You can see that our valueComparator overrides comapre() method and accepts two entries. Later it retrieves values from those entries and compare them and return result. Since there is no method in Java Collection API to sort Map, we need to use Collections.sort() method which accepts a List. This involves creating a temporary ArrayList with entries for sorting purpose and then again copying entries from sorted ArrayList to a new LinkedHashMap to keep them in sorted order. Finally we create a HashMap from that LinkedHashMap, which is what we needed. * How to sort HashMap in Java by keys and values. * integer keys on the order they are inserted but from Java 8 it has changed. // or decreasing by values. That's all about how to sort HashMap by keys and values in Java. Remember, HashMap is not intended to keep entries in sorted order, so if you have requirement to always keep entries in a particular order, don't use HashMap instead use TreeMap or LinkedHashMap. This method should only be used to cater adhoc needs where you receive a HashMap from some part of legacy code and you have to sort it first to process entries. If you have control of creating the Map initially prefer the right implementation of Map then just HashMap. Basically, you know how hashmaps & sets don't show duplicates, well, I tried adding the values of duplicate map-keys, so that when displaying a map-key, rather than the hashmap showing one random set(of key to a mapped value for duplicate keys), I wanted to sort it in a way so that whichever duplicate key it displayed, the total value for the duplicate keys is shown in place of the value of the duplicate. I understood just by thinking through what I wanted to do that I had to create a comparator for it. However, I couldn't still create a working comparator for it. HashMap doesn't show any random key out of duplicates. Actually it can't keep duplicates within it. Whenever there is a duplicate key added to the map it overrides the existing one. So each time there will be only one key available with that name. For your desired output what you have to do is that you have to create another class extending HashMap. Whenever there will will be a entry put to the map you can query if it already exists in that map? if it exists then update the existing value of that key by summession of both the values. Could you please tell, what is need of passing "listOfEntries.size()" while creating LinkedHashMap? Hello @Anonymous, that is to prevent resizing of LinkedHashMap. You might know that Collection start with default size e.g. 16 and then expand themselves by doubling the size or by a factor when size breaches load factor. If original Map is large than LinkedHashMap will go many round of re-sizing which is expensive as it require copying content from one array to another, to avoid that we have initialized with proper capacity. It's always good practice to initialize Collection with proper capacity, its must when you know the exact size in advance. Thanks a lot. Explained very well. You can sort the HashMap in Java 8 with less than 3 lines of code. Hello Anonymous, this will not work becuase you are collecting result in a Map which may not be ordered and all sorting will be lost. Instead you should use a LinkedHashMap to collect entries e.g. If i have custom object that is stored as value in map and i want to sort it on the basis of id. What should i use Hashmap or treemap becuase in both the cases i need to implement Comparator in my custom object and override @compare method to provide my own implementation. if answer is treemap then Why because treemap stores the value in natural order and it will not benefit me in any case. u use tree map in them.